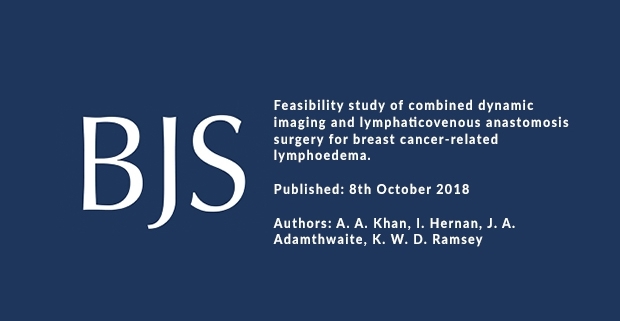 Breast cancer‐related lymphoedema (BCRL) presents a significant healthcare burden and adversely affects the quality of life of breast cancer survivors. 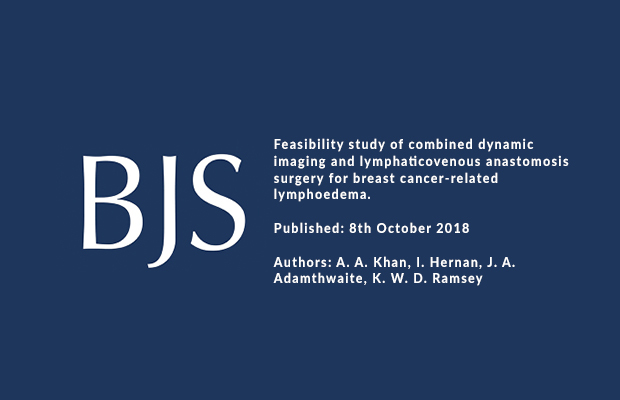 Mr Kelvin Ramsey has just had his series of lymphaticovenous anastomosis surgery for breast cancer-related lymphedema published in the British Journal of Surgery. This is the first UK series of this type of technique and is paving the way to a randomised controlled trial which will start in 2019.